Our dues schedule uses a “fair share” structure. Dues are aligned with income level so as to accommodate the different places that our members find themselves along their life’s journey. We expect all members of our community to pay their fair share to ensure our congregation’s financial health and longevity. This commitment enables us to continue to serve and extend our services to better meet our congregants’ needs. New members are also expected to meet Congregation Beth Shalom’s building fund commitment of $3,600, which can be paid in installments over a six year period. Our primary goal is to serve as a center of Jewish life in the Western suburbs. No current or prospective member will ever be turned away for financial reasons. Our treasurer will work with anyone, in a private, confidential manner, to find a mutually suitable arrangement to ensure full participation in our community. 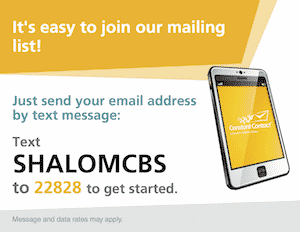 We encourage you to reach out to our treasurer to find out how to make Congregation Beth Shalom your home.